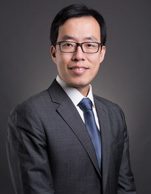 ICBC Financial Leasing Co., Ltd.
Mr. Changkun Yang had worked in The Export-Import Bank of China for nearly 10 years with rich experience in shipping finance. Before he joined ICBC Leasing, he had participate in a wide spectrum of shipping and offshore projects in Exim Bank. Mr. Yang joined ICBC Leasing in 2011 as Managing Director of Shipping Department. He is now Head of Shipping and in charge of global business of the department. His team has made achievements in the field of both shipping and offshore. The team completed reputable leasing projects include BP Tanker, Vale VLOC, Petrobras FPU. As the leader of shipping, Mr. Yang devotes himself to the development of the department. According to the plan, shipping department will develop into an international and comprehensive service institution of shipping finance with investment, financing and management.